Notice how some people look smart even without knowing them in person, nor having heard them speak before? This is a little magic caused by our body language. Ironically, smartphones don't reflect the sense of intellect that it's touted to have on the user. Studies from Harvard and Columbia Business Schools have shown that forming your body in certain dominant positions raises your testosterone levels, and lowers your stress levels. The opposite happens when you take a hunching, defensive position. One way to achieve this is to stop bending over your smartphone and carrying a newspaper and reading it spread wide. The presence of a smartphone makes one subconsciously anxious and stressed, whereas holding a newspaper signals a body language that is smart and confident. A Boston University study found that walking at the same speed as everyone else will make you look smart. Apparently, people subconsciously use the speed of movement to infer the presence of mind in people. This means that people who walk slower or faster are subconsciously perceived as stupid. It may not sound surprising to anybody at this rate, but yes, wearing glasses does make you look smart. Researches have shown that wearing glasses makes you look less attractive but smarter. Specifically, wearing thick, blocky frames make you look smarter than the thinner kind. Another body language that you need to consider to look smarter is the way you speak. Using monotone will make you sound uninterested, dull, and stupid. On the other hand, by using expressions, modulations, changes in pitch and intonation, you sound more interesting, energetic, and confident. 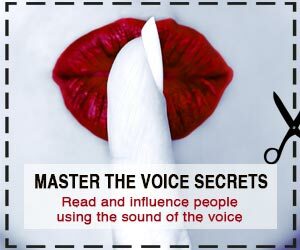 By sounding more confident and knowledgeable in your manner of speaking, you can give off the vibe of sounding smarter. When two people say the same phrase, one in monotone, and the other in a more expressive tone, the one with a more expressive tone will sound more credible, knowledgeable and engaging. Looking people in the eye during conversation greatly increases perceived intellect. Eye contact is body language that signifies one is in command or confident about what he is saying. This makes one look more credible when talking to groups of people. In one on one conversations, it also establishes rapport between the speaker and the listener, making the listener trust the speaker more.